United States drops Cuba from its blacklist as a state sponsor of terrorism, paving the way towards normalizing ties. 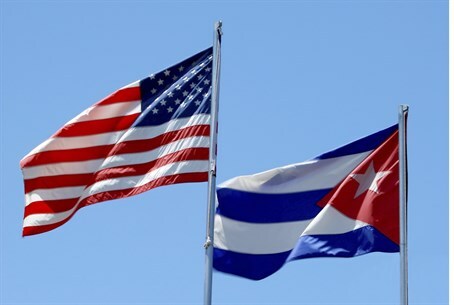 The United States on Friday officially dropped Cuba from its blacklist as a state sponsor of terrorism, in a landmark move aimed at paving the way towards normalizing ties frozen for half a century, AFP reported. The decision means Cuba will now have better access to American banking facilities and aid, and a ban on arms exports and sales is also lifted. President Barack Obama had notified Congress earlier this year that he intended to remove Havana from the list, giving lawmakers 45 days to object, which elapsed Friday. Secretary of State John Kerry "has made the final decision to rescind Cuba’s designation as a state sponsor of terrorism, effective today, May 29, 2015," the State Department said in a statement quoted by AFP. "The rescission of Cuba’s designation as a state sponsor of terrorism reflects our assessment that Cuba meets the statutory criteria for rescission," the statement added. "While the United States has significant concerns and disagreements with a wide range of Cuba's policies and actions, these fall outside the criteria relevant to the rescission of a state sponsor of terrorism designation." The move is just the latest ground-breaking development in a fast-moving rapprochement between the Cold War foes, after Obama and Cuban President Raul Castro agreed in December to restore relations that have languished in the doldrums since 1961.